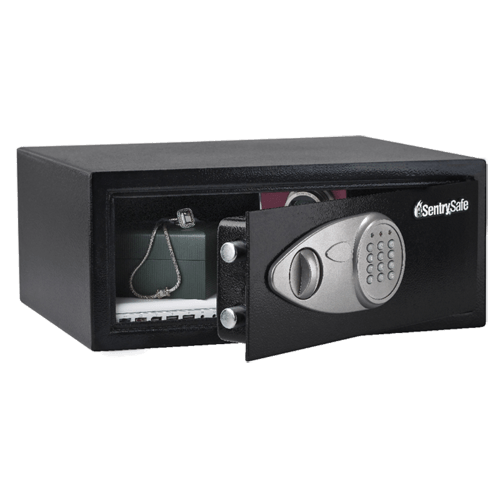 X075 Digital Security Safe is rated 2.9 out of 5 by 8. Rated 1 out of 5 by Lotus Seven from X075 Safe has Fake Hollow locking bolts Batteries leaked and I removed inside housing to clean off battery crust . Happen to look at the locking bolts inside . Discoverered they are chrome plated pieces of thinwall tubing NOT SOLID 3/4" bolts like they appear to be !!! They are only tab flared to hold them in place on the lock bracket A good pry and this thing would be open !!! Gzus I kept my gun in there!! 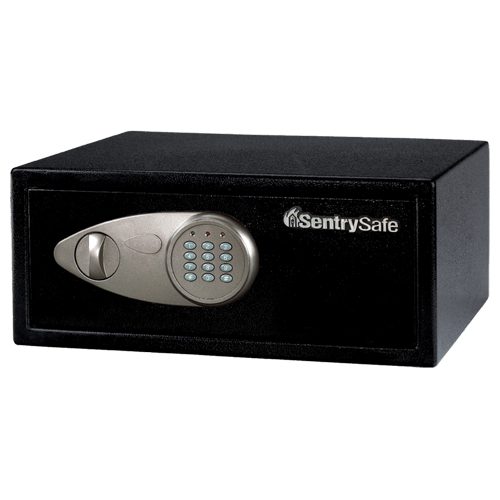 The purpose of a safe is just that . This is basically a box with a fancy bait and switch latch assembly . I welded on 1/4' thick tabs and put a combination lock on it till I find a replacement.. Rated 1 out of 5 by Hirogarden from Holes in the back??? I purchased my safe at Walmart. No place on the box does it say there are two big holes in the back. 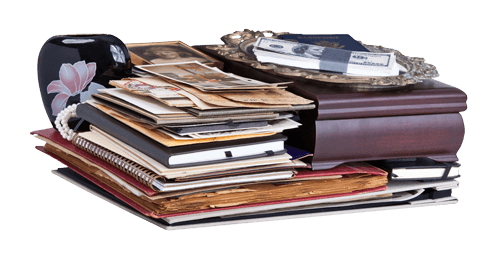 A safe is ment to keep items safe and secure. I can't do that with two giant holes in the back "designed to allow power cords". What in the world was whoever thinking when they designed this??? Rated 4 out of 5 by Wild EMT from Good safe for the money Good size, nice volume, light enough to be portable and used while traveling, set up easily, looks professional. Not a big fan of the circular holes in the back which are large enough to remove smaller items (like keys) through. Not a real solid feel, but a good value for the money. Rated 3 out of 5 by Zaif from Sentry 075 safe I own two of these saves from five and six years ago. This new safe is not made as well as the old ones. The locking mechanism is rough and finishing is not as good. The battery compartment fell out and needed to be taped in place. Great size but quality has been reduced. Rated 3 out of 5 by ginas cafe from Lock needs work It seems like the safe will be fine for what I sue it for. the only real problem is it is so hard to get the key in. It takes several tries most times. Rated 5 out of 5 by jdt1 from Strong safe. Easy to install. Easy to install. Am putting in a conversion van. Best value I have seen.